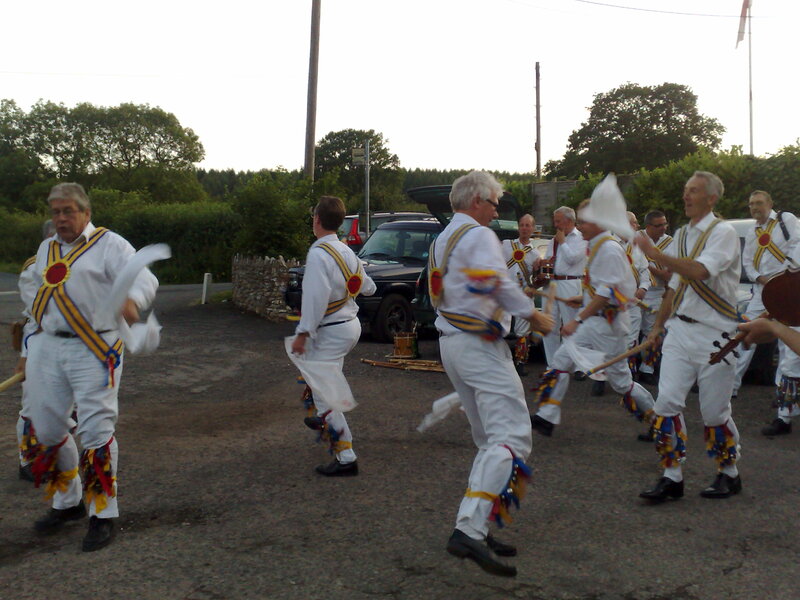 On Tuesday evening the Taunton Dene Morris men came to the Candlelight Inn in Bishopswood to dance in their carpark. They were dressed in white with colourful braces and bells on their legs. They were accompanied by musicians with a drum, a whistle and concertinas. 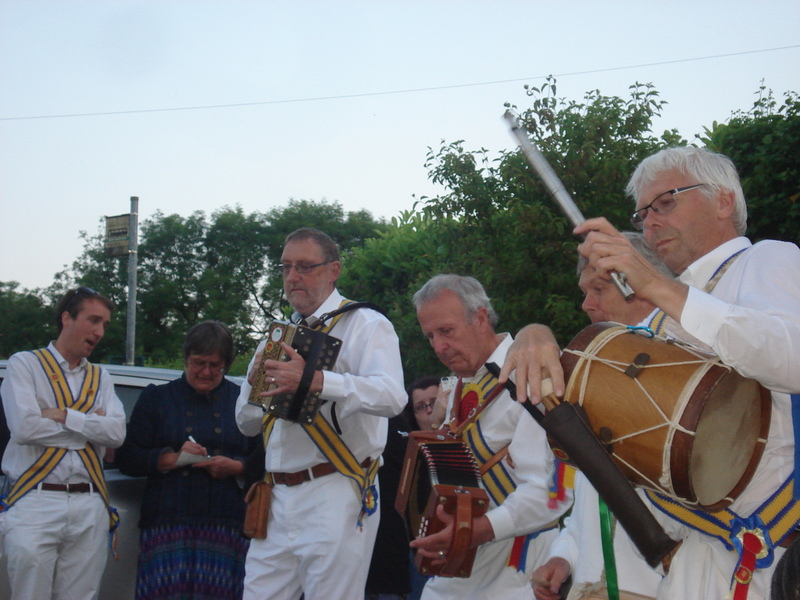 The Morris Men come to town! 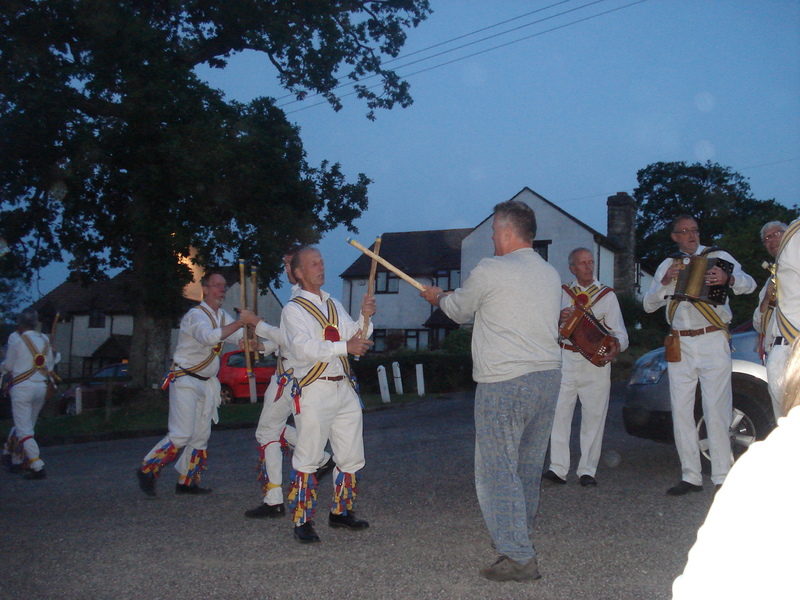 Yesterday evening we walked down to the Candlelight pub in Bishopswood as the Morris Men had come to town. They were performing in the car park in front of the pub. What a quaintly English tradition is Morris Dancing. 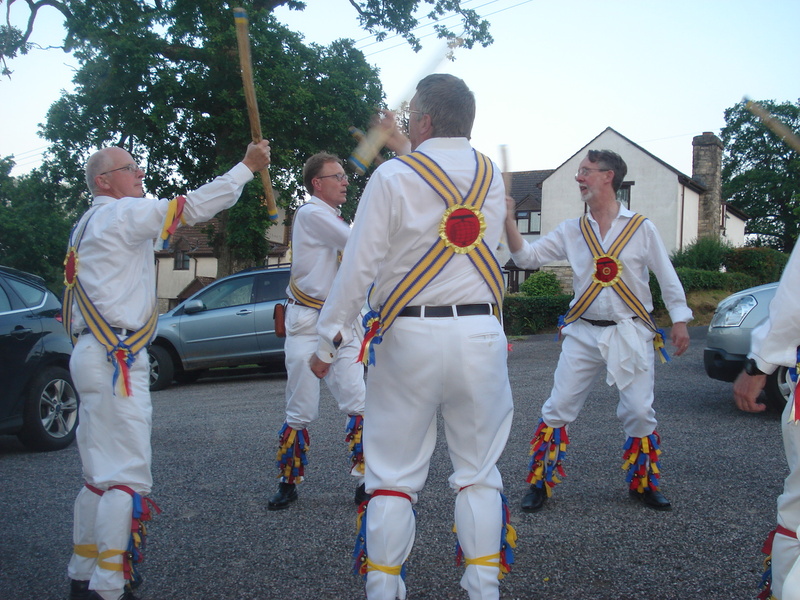 Grown men with bells on their legs waving white handkerchiefs in the air, and clacking sticks with each other. 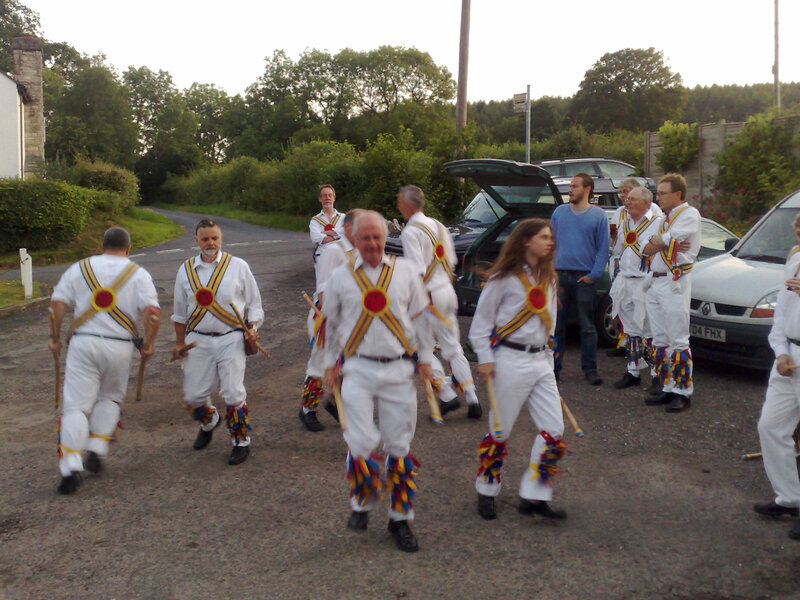 These were the Taunton Morris Men who were doing their Summer tour of pubs and locals spots to stop and dance. Mind you on a lovely evening, it’s a good excuse to sit outside the pub with a pint of best for Neil and a half a pint of cider for me. I’m getting into these Somerset ways drinking cider. It’s to be recommended.